Whether it's "thank you," "happy birthday," or "congratulations," there's no better way to say it than with the gift of movies! Gift cards are available in any denomination, though a $45 gift card is enough for two general admission evening tickets, two drinks and a large popcorn. Redeemable for movies, concessions, merchandise, special events or even memberships. Purchase a gift card on our website and we will send it right to you. OR stop into our box office and purchase the next time you visit our theater. 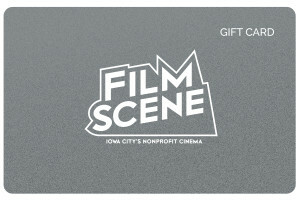 Great for any occasion or as an introduction to great cinema, every gift card helps support your local cinema.